The NIST Leadership Team includes the senior administrators: Head of School, School Director, Head of Operations, Head of Learning, Head of Secondary and Head of Primary. Together they oversee the daily operations of the school and help guide our community as we pursue our vision and mission. All of the current members of the leadership team are also parents of NIST students. 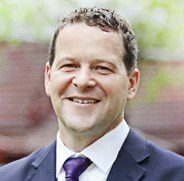 Before taking on the role of Head of School in 2016, Mr. Brett Penny served as the Head of Elementary from 2011 after eight years in Switzerland, where he held the position of Primary Principal of the Inter-Community School Zurich. After a successful teaching career in his home country of New Zealand, Brett commenced his career in international education, working at NIST from 2000 – 2003 as a year 6 teacher and the year 6 coordinator. He holds a Diploma of Teaching from the Dunedin College of Education (NZ), a Bachelor of Education from Otago University (NZ), a Master of Arts in Education Leadership from Columbia University (USA) and an M.B.A. in International Education (with distinction) from Keele University in the UK. Brett is joined in Bangkok by his wife Debbie (a NIST elementary counsellor from 2001-2003 and now an elementary EAL teacher), a Canadian national, and his son Liam and daughter Hannah. Ms. Poonam Sachdev is the Thai School Director, though she has worked in several roles in the administration since joining NIST in September 1995. Her key responsibilities include dealing with Thai government agencies such as the Ministry of Education, the Immigration Office and the Labour Department to ensure that the school is in compliance with Thai laws. Khun Poonam earned her bachelor’s degree in commerce from Punjab University in India, a Diploma in Teaching from Suan Sunandha College in Bangkok and a master’s degree in Educational Administration from Assumption University, also in Bangkok. Both her children graduated from NIST and are now attending Chulalongkorn University in Bangkok. 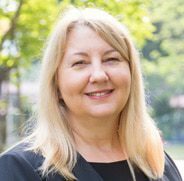 Ms. Jane Cooper, NIST's Head of Elementary, began her career in the UK, where she spent over a decade working in multicultural schools as a year level coordinator and elementary science coordinator. Upon shifting to international education, she worked in a bilingual school in Oman and spent seven years in Saudi Arabia, where she held numerous leadership positions, including Year 3 Coordinator, Year 5 Coordinator and Year 6 Coordinator. Jane joined NIST in 2008 as a year 5 teacher before going on to become the Year 5 Coordinator, Year 4 Coordinator and Deputy Head of Elementary - Student Welfare. Holding a bachelor's in primary education, she has a strong background and interest in support services and student enrichment programmes. With her husband Paul Cooper, the Deputy Head of Secondary (DP), Jane has two children: Hannah, who graduated from NIST in 2016, and Daniel, a member of the Class of 2020. We firmly believe that leadership is shared, and that with a common understanding of our roles, we can achieve our shared goals as a community. These guiding principles shape our approach not only as leaders, but also as learners. We will start with the belief that people are intelligent, capable, working hard and acting in good faith. We will seek to be solution-oriented, and use the school mission and a focus upon student achievement to guide discussions. We will advocate and support each other, and work as a team. We will value open discussion, aim for consensus in decisions, and constantly strive to follow up decisions and communicate effectively. We will strive to be transparent, make moral decisions and be fair in our dealings. We will create an environment based on trust and respect, which will enable our colleagues to function at their highest point of contribution. When describing schools there is a tendency for people to refer to the buildings and facilities. While NIST is fortunate to have remarkable facilities for a school located in the heart of Bangkok, it is not these alone which make it an outstanding hub for learning. Schools are about people, and great schools attract the very best teachers. When combined with a rigorous curriculum that pushes students to think critically, collaborate with peers, challenge assumptions and develop integrity, students flourish. Furthermore, learning is not just limited to the classroom. A leading school must also consider the learning and social opportunities that exist beyond the classroom. In short, when schools combine the best teachers with an innovative and responsive programme in a caring learning environment, students flourish. This would be the best way to describe NIST.